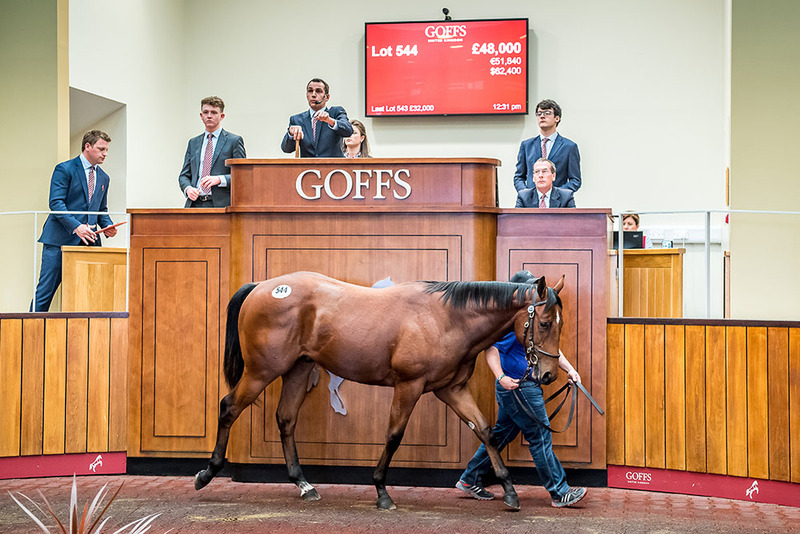 A smaller but better-quality catalogue for the Goffs UK Silver Yearling Sale at Doncaster delivered an improved set of figures on last year’s sale driven by a solid buying bench of domestic and international owners and trainers. The demand for yearlings at the Premier Yearling Sale was very strong and that demand carried through to today’s Silver Sale with the clearance rate finishing at 87%. Topping today’s sale was Egmont Stud’s Heeraat colt (Lot 544) who was purchased by Peter & Ross Doyle Bloodstock for £48,000. Furnace Mill Stud’s Havana Gold colt (Lot 577) also proved popular in the ring, being knocked down for £45,000 to Howson & Houldsworth Bloodstock who bought champion filly Quiet Reflection from this sale in 2014. “The ‘Donny yearling’ is proving as popular as ever, as witnessed earlier this week at the Premier Sale, and to see that demand continue into today’s Silver Sale is excellent as proven by a high 87% clearance rate and a 43% increase in median. We saw plenty of major owners and trainers stay for today’s sale and a number of new faces arrive from throughout Europe and that created a good buying bench, a good atmosphere and is certainly a great sign for this budding sale.